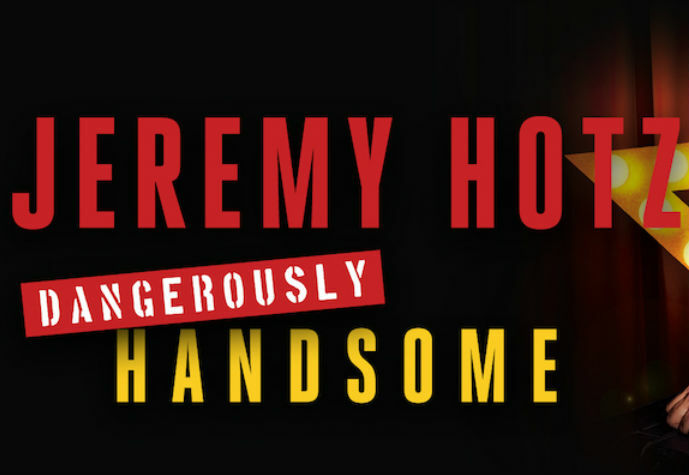 Known for his astute observational comedy and charming good looks, stand-up comedian Jeremy Hotz announced today that he’ll hit the road in 2019 with his brand new DANGEROUSLY HANDSOME TOUR including a stop at the FirstOntario Concert Hall in Hamilton on March 7 presented by Just For Laughs. Having sold out his last national tour, International Man of Misery three years back, Hotz returns with his constant companion "Shackleton the Wonderdog”, the world’s smallest service animal. Don't let Hotz's good looks fool you, he's still “The Master of Misery”, finding the miserable in the world and turning it into laughs is what makes him tick. But don't overlook his charming smile and God-given good-looks – it is a winning combination that has audiences falling in love with Jeremy and fans constantly throwing themselves at him. Tickets are $39.75, $49.75 and $59.75 (taxes included + facility and service charges) and go on-sale Friday, November 9 at 10 AM. The Gemini Award winning stand-up comedian actor and writer, fondly referred to as “the master of misery”, will also return to his hometown of Ottawa, ON, for two live shows at The Algonquin Commons Theatre on November 23rd. Celebrated for his original style coupled with side splitting takes on everyday life, Hotz confirmed that both “Profoundly Disappointed” shows will be filmed exclusively for a special forthcoming DVD release.